January is the time many of us start thinking about home improvements. And installing a new kitchen is usually top of the list. Last year, a YouGov survey found kitchen redesign ranked as the number one most desired home renovation project. This is unsurprising, as the kitchen is the heart of the home and the place where much of our time is spent. It’s also one of the places that can be most frustrating if it’s no longer fit for purpose. Preparing meals in a worn or ill-equipped kitchen is a real chore. Luckily, retailers and designers are always finding ways to create kitchens that are suited to the hustle and bustle of everyday life. With new styles appearing all of the time, we like to keep our eyes on what’s popular. Read on to discover the top 3 kitchen trends we predict are going to be big this year and beyond. 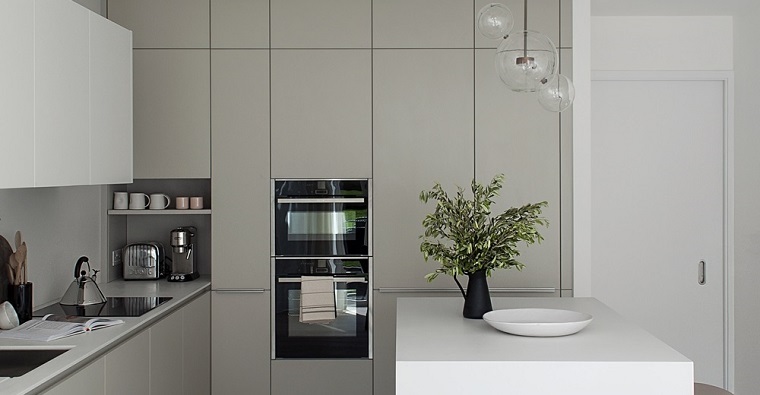 Many luxury schemes are opting for a minimal look and feel, with appliances and shelving concealed within units or seamlessly integrated into surfaces. Sharp lines, hard surfaces and handle-less doors are all sought-after features of this look, which will continue well into 2019. Achieving this look is relatively simple. It requires items like the oven to be unit-mounted and sinks and hobs to be recessed. While storage units and shelves are concealed behind uniformed cupboard doors. The overall finish looks luxurious and is practical, clutter-free and easy to clean. Splashbacks have come a long way since the days of tiling and Pyrex hob covers! You can now have splashbacks and upstands that run seamlessly from your work surfaces on to the walls. Meeting units at the base, your walls are completely protected from grease and can be wiped down with a cloth. Be it in solid natural stone or a synthetic surface style, large, integrated splashbacks become a design feature in themselves. This trend is a perfect example of where style meets practicality to create a luxury kitchen that’s built for everyday living. Industrial style combine a supreme functionality with a wonderfully distinctive, factory-floor sort of feel. The industrial-inspired kitchen has been around for a while now. And it’s a trend that keeps being reinvented to suit all types of home. The latest looks include raw effect materials, like concrete and granite, and natural finishes, such as wood contrasted with hard or stone surfaces. Materials that have a raw, natural appeal provide an atmosphere of utility and can be used to create stylish, multipurpose eating and working areas. Surfaces and kitchen islands are central to the room, so they need to look great, as well as being functional. Choosing a statement, industrial surface finish and dressing it with your own tastes is the ideal way to strike this balance. Although a kitchen is certainly not a room you change just to keep up with new trends, it’s useful to see what’s out there. Most trends are borne from a combination of style and substance, meaning they help a space flow as much as look great. Besides, enhancing the appeal of a kitchen design is an important factor. A kitchen should last many years to come, so you want to love the way it looks! Have you been inspired by these trends? 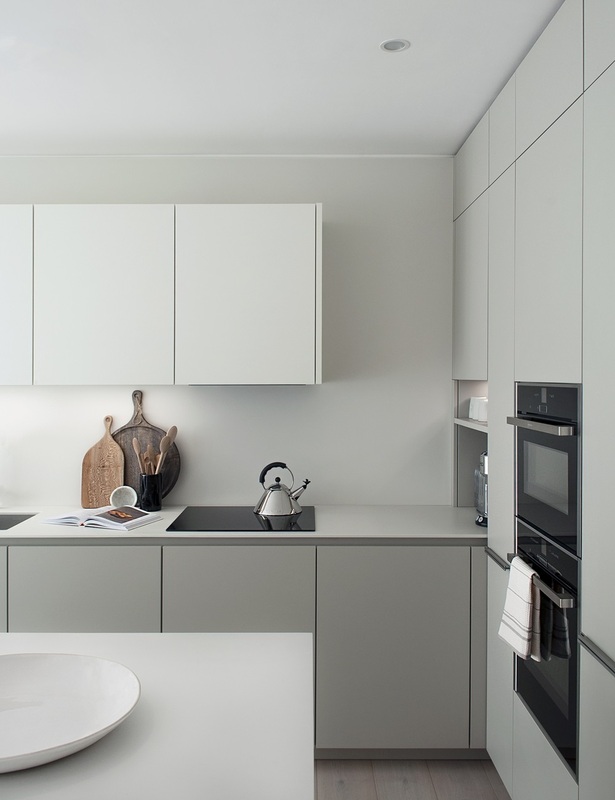 Talk to our experts about creating a solid surface that ticks the right boxes for your next kitchen design project.